Though a necessity, there are few experts in the security space that understand security technology from the transition of analog to digital. In modern workspaces, information technology and its practices sit at the heart of most business areas and security is no exception. Where physical security used to have a few tried and true practices implemented by many, today there are hundreds of micro-decisions an organization must make in order to create an environment that is truly secure both from a physical and technological perspective. While most companies invest in physical security solutions, many face struggles with cost, effectiveness and even access during deployment. A common mistake: most companies minimize the importance of investment into the design phase of the work. Like most areas of a modern business, design lives at the heart of a physical security strategy. A strategically designed solution is custom fit to an organization and their physical properties. It takes into account the architectural aspects of each space, as well as the natural workflow of an employee as he or she works across several environments. While a simple security camera or identity access solution will provide an improved level of safety than none at all, many intricacies exist in architecting a security solution that works. 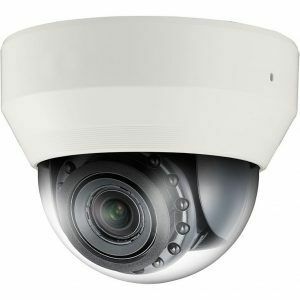 From understanding variables in the selection of a Hi-Res camera, or differentiating between the various network and storage requirements, an expert in solution architecture and design will save an organization more than money when rolling out a Physical Security solution. RAS Consulting & Investigations – we help companies design security solutions that are smart. Our most commonly recommended services is a simple Physical Security Assessment where RAS is able to evaluate the space and needs of the organization. We provide a report that outlines initial needs and recommends that an organization can begin with while moving towards the development of a fully crafted design. For clients that plan to act on the findings from their Physical Security Assessment results, or those that are updating their security footprint independently of this report, the design and project management phase is a crucial portion of a security roll out. During this phase, intricate details are collected and plans are made that will secure the physical space based on both present and future needs. Building specifications are aligned with appropriate technology options that fit the day-to-day operations of the client’s team. With all detail taken into account, a blueprint is crafted alongside of a budget that can be executed upon. While an RFP is proven to save an organization money and often time by allowing for the comparison of multiple vendors at once, it is also a very time intensive process that requires the handling of a large volume of data at once. RAS is able to expedite and simplify the process in writing the RFP document in a very technically specific way through analyzing submissions through the eyes of experience. RAS holds relationships with most of the major technology and service vendors in the security space, allowing for a neutral RFP experience. Simply put: we have inside information on the wholesale cost of both technology and services, as well as where each should be used, and are able to negotiate fair or discounted prices utilizing this knowledge. While it is in a vendor’s best interest to up sell products and services, it is in RAS’ best interest to architect solutions that provide the best physical security at the lowest cost. Because our alignment is with the needs of the client and never with the incentives of the vendor, we are able to focus on what will best protect the organization. System build out and/or policy roll out is not the end of the design process, but still the beginning. Executing perfectly in these areas will validate an investment, or make it useless. Our personal viewpoint on project management is that work is not completed until it is completed entirely and perfectly. This means working alongside General Contractors and Technicians to ensure that every detail in an installation is perfect and all systems are sound. Clients have shared that this phase of a project typically creates the most stress: employees are disrupted if they are currently utilizing the workspace. Their lack of understanding of construction and space design creates insecurity and instability in assessing quality and completeness. Our strength is experience. We know what is complete and what is a job well done. We do not exit until we know that a space is perfectly secure and a client has reached full utilization of their investment. Startups: Startups may adopt a new workspace in a low-security building or invest in an office in a co-working environment. A brief security design session will ensure that any office investment is secure and it is documented that the organization carefully selected and implemented plans to protect their employees wherever they are. Small Businesses: Small business clients want to avoid liability and litigation at all costs. Small businesses can be targets for theft and fraud. RAS planning and design take into account risks specific to small businesses and help create a plan to mitigate them. Law Firms: Law firms often work on highly charged cases that may expose employees to incidents of conflict or violence. Our law firm clients work with us to create Security Master Plans that keep danger out of the workplace. Multi-Office Corporations: In many large corporations, employees move across various office locations. A portion of the design process is understanding the physical flow of employees and insuring that they are able to appropriately access the places necessary for their job function, even if geographically separate. 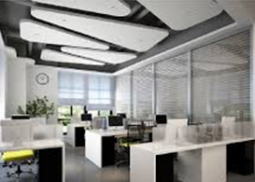 Is your office space designed to protect?